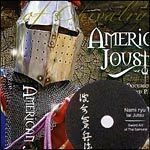 Here you will find DVD's from Medieval and Renaissance Swordfighting to Meditation. Here's just a sample: Are you Psychic?, Attract a Lover, Good Luck, or Prosperity, Castles and Dreams, Crystal Use, Jutsu, Earth Energy, Feel Good and Gentle Energy Yoga, Medieval Swordfighting, and the Spirit of Steel. Attract Money and Prosperity by Dragonstar DVD FILL THAT PIGGY BANK TO OVER FLOWING.. Let the good times roll. Want a house? New car? Run a business of your own? Win the lottery? Well here is a way to get your money for "nothing" and your kicks for "free." Our Fighting With the Saber and Cutlass DVD is really not for people who are only interested in gaining dexterity in sport fencing or the learning the superficial choreographic techniques used for stage and screen. Our Medieval Swordfighting Video presents Fiore dei Liberi's, an Italian Master swordsman of the 14th Century, explanation of the basic principles of Medieval swordsmanship from the book, Flos Duellatorum. 35 minutes. Our Taiji Sword Classical Yang Style Video Directed by Dr. Yang, Jwing-Ming. Along with Dr. Yang, you can develop the feeling of the coiling and angling of the Form as well as the fundamentals, Qigong, key techniques, applications and matching drills. Improve your balance, strength, focus, and martial skills with our Northern Shaolin Sword Video. Sword training is one of the highest accomplishments in Chinese martial arts. Northern Shaolin Sword is a complete Video for martial artists. Our Stun, Stagger & Stop DVD is for you if you are suddenly attacked, a heavy walking stick or stout cane can be a great comfort. In The Flower of the Battle Video the use of all weapons of medieval dueling are illustrated. Includes medieval wrestling, lance, poll-axe, sword, dagger, combat on foot and horseback with detailed historical notes and practical techniques. 48 minutes. The Fighting Sarong DVD features Ron Balicki, who has trained in Sarong fighting for over 20 years and will take you through a comprehensive look at the Indonesian and Filipino art of "The Fighting Sarong". The Warriors Edge DVD is a basic course has been condensed onto 3 DVD's so you can now study, and train in the comfort and convenience of your own home.